Classified » Business & Office » Businesses for Sale » Cny Double Bonanza Promo Is Running For Red Velvet Carpet! CNY DOUBLE BONANZA PROMO IS RUNNING FOR RED VELVET CARPET! 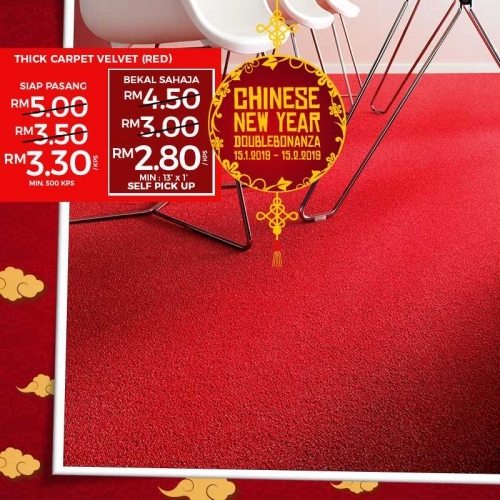 •	Produk(Velvet Red) –RM2.80/kps sahaja!